Vert Industries company aims to build high-quality service for clients while also fostering an enjoyable work environment that allows everyone the opportunity to reach their highest potential. Being part of a passionate team is a great benefit in and of itself. 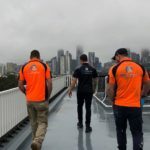 We are looking for experienced Rope Access Painters & Remedial Technicians within the Melbourne area. IRATA Level 2 or 3 would be preferable. Great rates and plenty of work on in the new year! 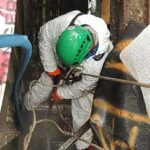 As a Rope Access Technician working for Vert Industries, you will be part of a dedicated team that prides itself on creating a culture that everyone enjoys being a part of. We are offering competitive rates and the opportunity to grow within the company.